There is an entire process and method that can be used to find a gamut of low volume keywords (with specific long tail keywords) that are less expensive yet provide very good ROI. We are versatile and help you achieve your goals and objectives, just the way you want it. 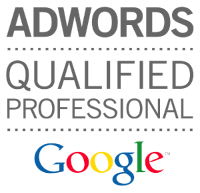 We will tailor a PPC Services plan that is right for you. We will not only understand your brand and your business goals but will also study your competitors in order to be able to come up with a perfect strategy. After strategy, we will work to execute the same in an effective manner. We will build out your existing campaigns and alongside, implement the new ones. We will look after the choice of your keywords to make sure that appropriate keywords that justify the cost are being used. For any kind of analysis and reporting the business must ensure that the tracking is setup properly. This will give us all the data in order to understand every aspect of the campaign. Continuous optimization refines the campaign to perform better. We provide you with reports that showcase all the insights into the status of your PPC campaign.